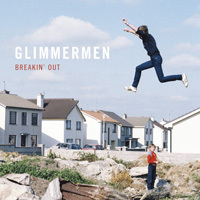 Just last month 'The Thin Air' shared ‘Bang’, the lead single from Breakin’ Out, the new album by Dublin’s Glimmermen. Calling it a “markedly more linear yet no less distinct and ear-grabbing effort from the four-piece”, it reinforced our belief that the band – whose debut EPSatellite People caught our attention back in 2012 – had something different and potentially quite vital to their collective bow. As it so happens, Breakin’ Out confirms that fact in assured fashion, each of the release’s nine tracks threading together to form an effort where the major key and quietly emphatic cogitations on the everyday meld to form a refreshingly optimistic album bursting with real heart and instant, carefully-considered songwriting.